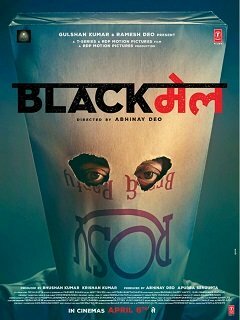 Blackmail earned ₹ 0.65 Cr between day 15-21, Now Total Collection ₹ 20.2 Cr ! Blackmail earned ₹ 0.44 Cr between day 11-14, Now Total Collection ₹ 19.55 Cr ! Blackmail earned ₹ 0.86 Cr on its 10th Day, Now Total Collection ₹ 19.11 Cr! Blackmail earned ₹ 0.86 Cr on its 9th Day, Now Total Collection ₹ 18.25 Cr! Blackmail earned ₹ 0.47 Cr on its 8th Day, Now Total Collection ₹ 17.39 Cr! Blackmail earned ₹ 1.17 Cr on its 7th Day, Now Total Collection ₹ 16.92 Cr! Blackmail earned ₹ 1.33 Cr on its 6th Day, Now Total Collection ₹ 15.75 Cr! Blackmail earned ₹ 1.52 Cr on its 5th Day, Now Total Collection ₹ 14.42 Cr! Blackmail earned ₹ 1.68 Cr on its 4th Day, Now Total Collection ₹ 12.9 Cr! Blackmail earned ₹ 4.56 Cr on its 3rd Day, Now Total Collection ₹ 11.22 Cr! Blackmail earned ₹ 3.85 Cr on its 2nd Day, Now Total Collection ₹ 6.66 Cr! Blackmail earned ₹ 2.81 Cr on its 1st Day, Now Total Collection ₹ 2.81 Cr!